There has been an awful lot of buzz about the iPhone XS, iPhone XS Max, and iPhone XR Smart Battery Case release that took place recently, but if you’re an iPhone 7 or iPhone 8 owner you can take advantage of a deal on the older case, with Amazon currently slashing $18 off the normal asking price. 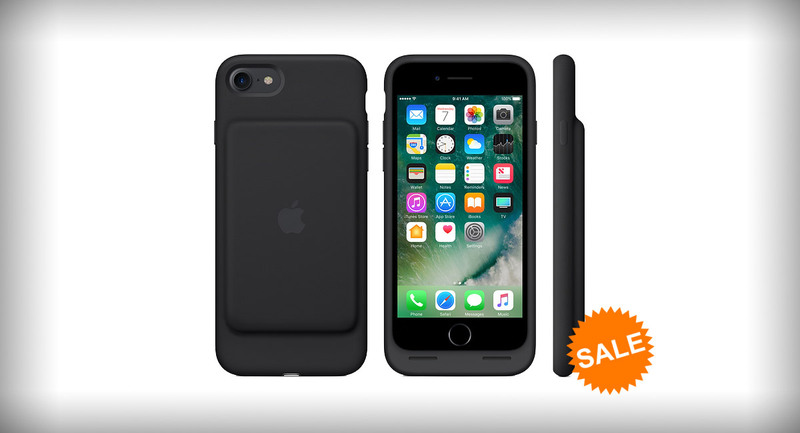 The Smart Battery Case is Apple’s solution for anyone whose iPhone 7 or iPhone 8 cannot last the distance during a busy day, with it giving users around 22 hours of battery life for web browsing, 24 hour of video viewing, and 26 hours of talk time. There’s some magic going on between the case and iOS too, meaning the iPhone will not go into high-power mode because it thinks that it’s been plugged into AC power. That’s a bigger feature than it seems, because most third-party cases fall into that trap, with iOS ramping up its housekeeping because it think it has an unlimited power supply. While the product isn’t explicitly listed as being iPhone 8-compatible, it should work just fine. One thing worth bearing in mind though – unlike the iPhone XS, iPhone XS Max, or iPhone XR Smart Battery Cases, this one will not charge wirelessly. If that’s how you normally charge your iPhone 8, you’re going to have to take this case off before doing so. Yes, it’s a pain, but if you need your iPhone to last as long as possible on a single charge, that may just be a small price to pay.